bonivento committed R1066:7a6f91e74869: update new logo (authored by bonivento). bonivento committed R1066:d2efca5bcfbc: update (authored by bonivento). bonivento committed R1066:ed76dd1b1e4a: update template kprime (authored by bonivento). bonivento committed R1066:5a074e0ed665: upd (authored by bonivento). bonivento committed R1066:5f3391a88d0b: update (authored by bonivento). bonivento committed R1066:261778e4966f: update (authored by bonivento). bonivento committed R1066:3c3b03d7db85: a (authored by bonivento). bonivento committed R1066:878ee8775da0: update exam.tex (authored by bonivento). bonivento committed R1066:c07d9df9c415: added template for answersheets (authored by bonivento). 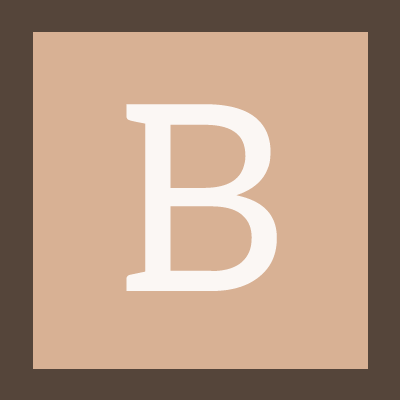 bonivento committed R1066:a79c2557150f: update README (authored by bonivento). bonivento committed R1066:260a84ecaf28: 2 (authored by bonivento). bonivento committed R1066:3629c4abaea9: a (authored by bonivento). bonivento committed R1066:95fd33cb3f97: update README file (authored by bonivento). bonivento committed R1066:4f853cf11da4: update README file (authored by bonivento). bonivento committed R1066:dfa7bbb640f0: update gen (authored by bonivento). bonivento committed R1066:2a11fc513b17: new good_bad_square.png (authored by bonivento). bonivento committed R1066:1ed095f23db4: update chemistry header_1 de/en (authored by bonivento). bonivento committed R1066:f7351eb380db: update first_page and header 1,2 for maths (authored by bonivento). bonivento committed R1066:162ce2c8c508: update lib_amcstats.php (authored by bonivento). bonivento committed R1066:02df55793c12: update template (authored by bonivento). bonivento committed R1066:dff783d7e2bd: update templates (authored by bonivento). bonivento committed R1066:14b65164d045: updated exam.tex, style_extra.tex and first_page.tex (authored by bonivento). bonivento committed R1066:e8f616d22509: updated style_extra with new corrector boxes and exam.tex with less margins (authored by bonivento). bonivento committed R1066:130b8b71c7cb: good_bad_square.png : new version / first_page.tex update (authored by bonivento). bonivento committed R1066:86d95acde4f1: update (authored by bonivento). bonivento committed R1066:e6de7e93aa2b: add amc-templates repository (authored by bonivento). bonivento committed R1066:ebba93efd6cb: add delete files in /tmp/bamc/ after check-questions (authored by bonivento). bonivento committed R1066:b2fba7486bfb: Merge branch 'master' of https://c4science.ch/diffusion/1066/AMC-CAPE (authored by bonivento). bonivento committed R1066:1ab75004e9ad: clean default bamc.conf file (authored by bonivento). bonivento committed R1066:7c6876b5e47a: fix invalid help (authored by bonivento). bonivento committed R1066:b068cfb5ea38: header_1 update: fixed typo (authored by bonivento).